Author:Slater, Nigel. Eat: The Little Book of Fast Food (Cloth-covered, flexible binding). Each month we recycle over 2.3 million books, saving over 12,500 tonnes of books a year from going straight into landfill sites. Author:Slater, Nigel. A Year of Good Eating: The Kitchen Diaries III. Each month we recycle over 2.3 million books, saving over 12,500 tonnes of books a year from going straight into landfill sites. All of our paper waste is recycled and turned into corrugated cardboard. Author:Slater, Nigel. The Kitchen Diaries II. Each month we recycle over 2.3 million books, saving over 12,500 tonnes of books a year from going straight into landfill sites. All of our paper waste is recycled and turned into corrugated cardboard. This book will show you exactly which parts of ingredients are beneficial for you and how to optimise their super-food potential. The kitchen diaries by Nigel Slater (Hardback)Title: The kitchen diaries Format: Hardback Type: BOOK Publisher: Fourth Estate UK Release Date: 20050927 Language: English ISBN-10: 0007199481. 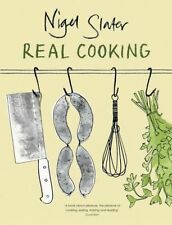 Real good food by Nigel Slater (Paperback)Title: Real good food Format: Paperback Type: BOOK Publisher: 4th Estate UK Release Date: 19950918 Language: English. Nigel Slater has chosen his best writings from his popular Observer column. 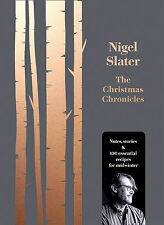 Author:Nigel Slater. Prizes:Winner of Glenfiddich Award (Food) 1999. Book Binding:Paperback. Each month we recycle over 2.3 million books, saving over 12,500 tonnes of books a year from going straight into landfill sites. Author:Slater, Nigel. The 30-Minute Cook. We appreciate the impact a good book can have. We all like the idea of saving a bit of cash, so when we found out how many good quality used books are out there - we just had to let you know! Author:Slater, Nigel. The Kitchen Diaries: A Year in the Kitchen. Book Binding:Paperback. Each month we recycle over 2.3 million books, saving over 12,500 tonnes of books a year from going straight into landfill sites. Real fast puddings: over 200 desserts, savouries and sweet snacks in 30 minutesTitle: Real fast puddings: over 200 desserts, savouries and sweet snacks in 30 minutes Format: Paperback Type: BOOK Publisher: Penguin Books UK Release Date: 20061102 Language: English. Author:Slater, Nigel. Real Fast Food. Book Binding:Paperback. Each month we recycle over 2.3 million books, saving over 12,500 tonnes of books a year from going straight into landfill sites. All of our paper waste is recycled and turned into corrugated cardboard. Real Fast Puddings. Author:Slater, Nigel. Each month we recycle over 2.3 million books, saving over 12,500 tonnes of books a year from going straight into landfill sites. All of our paper waste is recycled and turned into corrugated cardboard. Real fast puddings: over 200 desserts, savouries and sweet snacks in 30 minutesTitle: Real fast puddings: over 200 desserts, savouries and sweet snacks in 30 minutes Format: Paperback / softback Type: BOOK Publisher: Penguin UK Release Date: 20011025 Language: English. Publisher: Mitchell Beazley ISBN 13: 9781857323702. 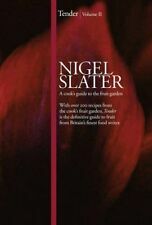 Author: Nigel Slater ISBN 10: 185732370X. Title: Marie Claire Cookbook Item Condition: used item in a good condition. Real cooking by Nigel Slater (Paperback)Title: Real cooking Format: Paperback Type: BOOK Publisher: Penguin UK UK Release Date: 30 Sep 1999 Language: English ISBN-10: 0140252770. Format: Paperback Type: BOOK Edition: Reissue Publisher: Fourth Estate UK Release Date: 20140925 Language: English ISBN-10: 1841154709. I urge you to break the rules. I want you to follow your appetite.'. With over 400 recipe ideas from the cook's garden, 'Tender' is the definitive guide to vegetables from Nigel Slater, one of Britain's finest food writers. Real cooking by Nigel Slater (Paperback)Title: Real cooking Format: Paperback Type: BOOK Publisher: Penguin Books UK Release Date: 20061102 Language: English. Author:Slater, Nigel. Book Binding:Hardback. Each month we recycle over 2.3 million books, saving over 12,500 tonnes of books a year from going straight into landfill sites. All of our paper waste is recycled and turned into corrugated cardboard. Real Fast Food by Nigel Slater (Paperback / softback)Title: Real Fast Food Format: Paperback / softback Type: BOOK Publisher: The Overlook Press UK Release Date: 20030729 Language: English. Author:Slater, Nigel. Book Binding:Hardback. We appreciate the impact a good book can have. We all like the idea of saving a bit of cash, so when we found out how many good quality used books are out there - we just had to let you know! Real fast food: 350 recipes ready-to-eat in 30 minutes by Nigel SlaterTitle: Real fast food: 350 recipes ready-to-eat in 30 minutes Format: Paperback Type: BOOK Publisher: Penguin UK UK Release Date: 19931018 Language: English. 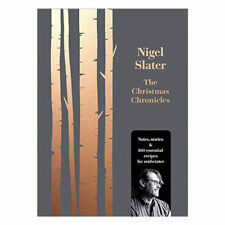 Author(s): Nigel Slater. Real FoodTitle: Real Food. Binding: Paperback. Condition: Used - Acceptable. Publisher: Fourth Estate ISBN 13: 9780007228102. Author: Nigel Slater ISBN 10: 0007228104. Title: Thirst Item Condition: used item in a good condition. Author: Nigel Slater ISBN 10: 0718137523. Title: The 30-minute Cook: The Best of the Worlds Quick Cooking Item Condition: used item in a good condition. Edition: 1st edition List Price: -. Will be clean, not soiled or stained. Author:Slater, Nigel. Real Fast Food. Each month we recycle over 2.3 million books, saving over 12,500 tonnes of books a year from going straight into landfill sites. All of our paper waste is recycled and turned into corrugated cardboard. He won the Glenfiddich Award in 1989 for his down-to-earth style of cooking featured in "Marie Claire". Author:Slater, Nigel. Each month we recycle over 2.3 million books, saving over 12,500 tonnes of books a year from going straight into landfill sites. All of our paper waste is recycled and turned into corrugated cardboard. 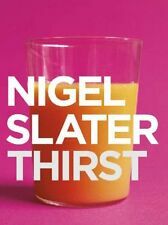 Thirst by Nigel Slater (Paperback)Title: Thirst Format: Paperback Type: BOOK Publisher: 4th Estate UK Release Date: 20020605 Language: English. Author:Slater, Nigel. The 30-Minute Cook: The Best of the World's Quick Cooking (Penguin cookery books). We appreciate the impact a good book can have. We all like the idea of saving a bit of cash, so when we found out how many good quality used books are out there - we just had to let you know! Author:Slater, Nigel. "Marie Claire" Cookbook. Book Binding:Hardback. Each month we recycle over 2.3 million books, saving over 12,500 tonnes of books a year from going straight into landfill sites. All of our paper waste is recycled and turned into corrugated cardboard. Author: Nina Planck,Sarah Cuttle,Nigel Slater ISBN 10: 0340768479. Will be clean, not soiled or stained. Published On: 2001-03-01 SKU: 8765-9780340768471. Authors : Slater, Nigel. Title : Appetite. Binding : Hardcover. Product Category : Books. Condition : Very Good. List Price (MSRP) : 25.00. Dust Jacket : False. Pages : 448. Real Fast Puddings: Over 200 Hundred Desserts, Savouries And Sweet Snacks in Under 30 Minutes. Author:Slater, Nigel. Book Binding:Hardback. World of Books Ltd was founded in 2005, recycling books sold to us through charities either directly or indirectly. Real Fast PuddingsTitle: Real Fast Puddings. Author(s): Slater, Nigel. Binding: Paperback. Condition: Used - Good. Authors : Slater, Nigel. Product Category : Books. Binding : Paperback. Condition : Very Good. Publication Date : 2014-09-25. List Price (MSRP) : 20.00. Add us to your favourites. Authors: Slater, Nigel. Real Fast Food. Title: Real Fast Food. Binding: Hardcover. Condition: Used; Good. Weight: 622 Gms. Pages: 320. The 30-minute cook: the best of the world's quick cooking by Nigel SlaterTitle: The 30-minute cook: the best of the world's quick cooking Format: Paperback Type: BOOK Publisher: Penguin Books UK Release Date: 20061102 Language: English. Author:Slater, Nigel. The Kitchen Diaries. Book Binding:Hardback. Each month we recycle over 2.3 million books, saving over 12,500 tonnes of books a year from going straight into landfill sites. All of our paper waste is recycled and turned into corrugated cardboard. Nigel Slater's real food by Nigel Slater (Paperback)Title: Nigel Slater's real food Format: Paperback Type: BOOK Edition: Reissue Publisher: Fourth Estate UK Release Date: 20140925 Language: English. Nigel Slater's classic guide to comfort food. 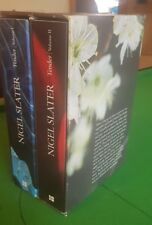 Nigel Slater Tender Books Vol 1 and 2. Boxed Edition. Job Lot 6 Cookery Books - River Cafe, Delia, Nigel Slater and more!